Yaxley Halt, Suffolk on the Mellis to Eye branch. The view is facing Eye with the ornate road bridge behind, carrying the original route of the A140 before bypassing. 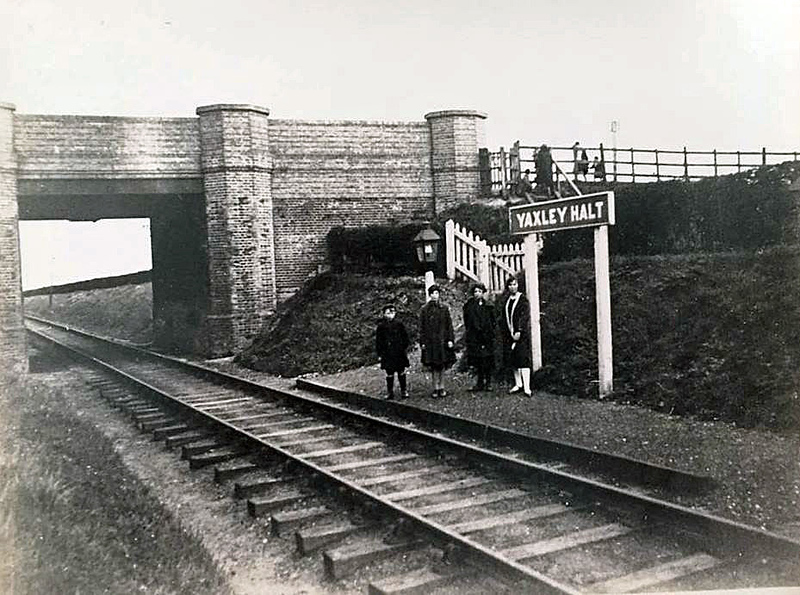 The station opened on 20th December 1922. Passenger services ceased throughout only nine years later on 2nd February 1931. Freight to Eye survived until 13th July 1964.